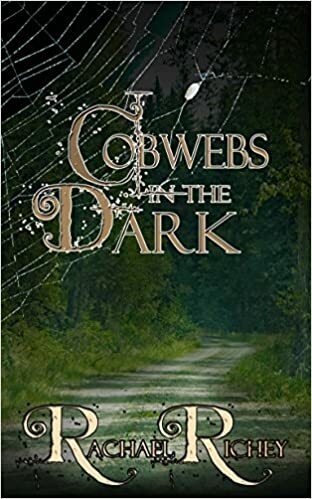 Today sees the publication of Cobwebs in the Dark, the third in Rachael Richey’s Nighthawk series. I have read and reviewed the previous two books in the series and you can read my reviews here: Storm Rising (Nighthawk 1) and Rhythm of Deceit (Nighthawk 2). Cobwebs in the Dark sees us catching up again with Gideon and Abi as the family travel to New Zealand where Gideon’s band, Nighthawk, is about to embark upon a tour. Although it is the third book in the series there are enough references to the main points of the previous storylines to be able to read this as a standalone. Abi is feeling a bit insecure as she anticipates all the attention that Gideon will inevitably receive from groupies and the paparazzi. A shocking claim by a previous band employee threatens their happiness and leads to Abi and Gideon sharing stories about their past in a bid to rebuild trust. Their daughter Natasha is on her own mission to find a face from the past but with former group member Simon following their every move, she puts herself in danger. I very much enjoyed reading about the Hawk family again and getting to know some new members of the family too such as Gideon’s sister in New Zealand. Rachael Richey has written another very entertaining book with a great mixture of love, suspense and drama. She moves from past to present so well adding in details of past encounters and experiences of her characters which really enable you to feel you understand them better. Despite Gideon being a very famous and wealthy rock star, you feel that he’s very grounded and just a normal guy really. And the love Abi and Gideon have for each other has shone through in every book. I am already intrigued by the first few pages from the next book in the series, The Girl in the Painting, which were included after the end of the book. It looks like Abi’s family have more secrets yet to be revealed! With NightHawk newly reformed and preparing for a world tour, Abi Hawk finds herself unaccountably insecure about the attention her husband Gideon, the band’s frontman, will receive from groupies. In New Zealand for the first leg of the tour and a visit with Gideon’s sister, they are faced with a new problem. An outrageous claim pushes Abi’s insecurities to new heights, and it takes all their resolve to stick together and sort it out.